The Division Avenue High School community in Levittown caught the spirit of giving as they donated more than 10,000 food items and $1,500 in supermarket gift cards for those in need this Thanksgiving holiday. 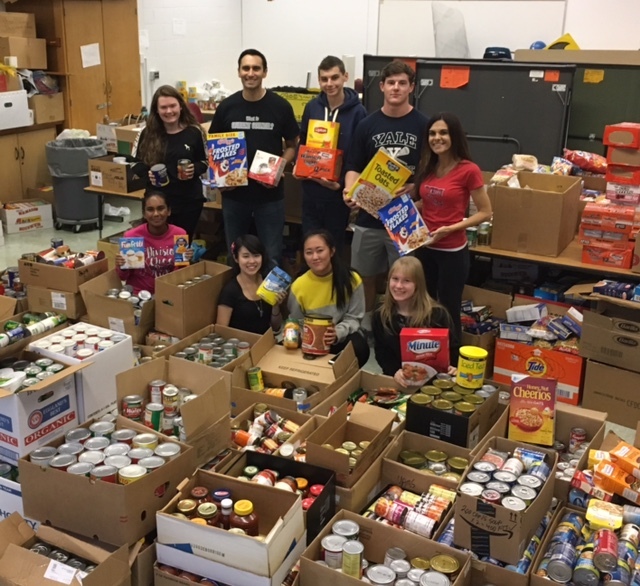 The student council and senior class officers hosted the annual food drive, and students and teachers worked diligently to box and distribute the food prior to the holiday. Photo Caption: (Top, l-r) Division Avenue High School student Alexa McCall, student council co-adviser Gerard Marzigliano, students Lucas Rickard and Steven Reilly, student council co-adviser Lynn Castellano, (front, l-r) and students Sonia Inderjit, Annie Tao, Regina Shin and Erin McCall are pictured with donations collected during the Division Avenue High School food drive.